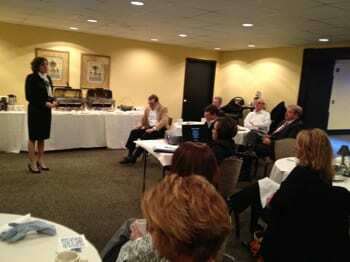 I just attended a small breakfast where Dr. Lynn Moody discussed the new iRock initiative in Rock Hill, SC. Many know this initiative as an effort to put an iPad in the hands of every child in Rock Hill k-12. Yes, it is that. But really the iPad is just the selected tool. The point is to have a one-to-one mobile learning device in the possession of every child. I see that the world is a place of access and application. I know in my profession we don’t hire programmers because they have mastered every programming language. We hire the ones who can use technology to learn and adapt quickly. They can go find out what they need to know and apply it quickly, creatively, and with an innovative productivity that is ultimately problem solving. These are the skills of today’s and tomorrow’s jobs. I commend Lynn on this initiative. She has a long road ahead to raise money for the iRock initiative. She has a lot of questions to answer. While she is doing the work of answering these questions about learning, safety, cost, and access across the digital divide, I am asking the questions of economic development. I am frustrated by how K12 Education is often left out of the Economic Development conversations in a community. This is extremely short sighted. Not only do the schools rank EXTREMELY HIGH (if not #1) in reasons to locate in a community (meaning individuals and businesses), but also it is the children of a community who are the future of the community. The future of our workforce and leadership comes from the learning among our school age children. In speaking of success in the new economy, and of silos to synergy, I would be remiss not to speak of education, as it is a core piece of economic development. Economic development is the effort to improve the quality of life of the citizens of a community, and there may be no greater factor in this effort than education. Higher education is currently struggling with its own funding and justifications in the face of our slow economy. How does academia support job creation? This seems to be the most common question. I hear at the meetings I attend. Yet, we do ourselves and the quality of our lives a disservice if we think that academia should be only about workforce development. There is no measure of the value of History, Literature, Arts, Pedagogy, Philosophy, and more. These studies provide mechanisms to pass along our culture and our collective learning as a people. We need to make sure that our fiscal conservativism, though needed and welcome in many ways, does not make us naïve and superficial in this life of ours. We are here for meaning, joy, and beauty. Jobs are just a mechanism of sustainability. Life is about living. Workforce training is an easier nut to crack for the technical college when it presents to its funding organizations because it is usually built right into the school’s mission and purpose. Though, this is an ironic situation due to the statistics that state that the job growth for positions that require a masters degree are set to increase the most – much more than technical degree jobs. As these institutions of higher ed jockey to position themselves as relevant in a slow economy, the K-12 schools do the daily work of educating ALL of our children. They have no choice in the matter. We as a nation have declared that we will educate everyone. It is each person’s right to be educated, we have decided. And the schools are charged with making that happen, no matter what. While still living in Asheville, I taught ninth-grade English in the small town of Marion, NC, for four years. I had never studied pedagogy before applying for the position. And actually, when I met with the district HR supervisor, I pronounced the word incorrectly (with a hard G at the end) and asked what it meant. She kindly replied, the study of teaching. Not only had I not studied in the field of pedagogy, I had never even taken an education class in my college career. But, I had a Masters of Fine Arts in Writing and a Bachelor of Arts in English, so I met basic qualifications to be hired by the district. More than my resume, I fit the bill of a young, talented, creative, dedicated person who could potentially bring the positive change to the school that the principal at the time was seeking. The interviewing team had no idea that the day before the interview, I had hair down to my back, a dreadlock in my head, and a burley goatee. They saw a clean-shaven, short-haired, well-dressed young person with a strong academic record, and they decided to take a chance on my ability to teach. I embraced teaching and did well at it. I quickly learned that success was not about the content. It was about connecting with the kids. Kids can’t learn if they can’t connect with either the teacher or the material (hopefully both). The true learning happened in connectivity. Today’s education is not a transferring of knowledge, but a preparing and practicing of using connectivity and information in meaningful application. While I was teaching, No Child Left Behind passed through the legislature, and everything at our school became focused on the standardized multiple choice test. The quality of the learning experience went down, as the test scores went up. The purpose of us being there evolved into the manipulation of those scores. I became unhappy with teaching and wanted out. The nature of education was being pushed back to knowledge transfer instead of meaningful application and exploratory thinking. We were going in the wrong direction. We’ve all heard for a long time that the US is behind in education. We’ve heard of the international standardized tests that our children do poorly on and Asian children score well on. But we forget that we saw the same thing as compared to the Soviet Union, and how did that work out for them? If we do so poorly in learning and preparing for our future, then why have we dominated the world’s economy? Why do we have more innovation than any country by far? Why are Asian countries changing their education systems to look more like ours? Well… maybe these tests measure the wrong thing. They measure the transfer of information. They don’t measure confidence, ability to innovate and think for oneself, ability to fail and try, try again. These are the qualities of the entrepreneur. These are the qualities of the innovator. The person who drives productivity in this nation is not a know-it-all, is not a memorizer, is not even always a rule-follower. The innovator in this nation is someone who challenges the status quo, someone who thinks for himself, someone who dreams about doing the impossible, and someone who is willing to fail over and over again, and never give up. The economic development community needs to get involved in supporting K-12 Education and needs to take a vested interest in how we measure the success of our children and of our schools. We do not need to be led in this regard by legislators who from their distant chairs try to apply quantitative measurement principles that push learning back towards knowledge transfer. It will be to the detriment of our communities in this new economy, this new age of connectivity. I hope for our sake in Rock Hill we come to understand that affecting drop-out rate and independent applied-based learning is the number one thing we can do for the future economy in this community. Share the post "iRock – One to One Learning in Rock Hill, SC – an Economic Development Question"